The new Logitech K380 Multi-Device Bluetooth Keyboard and the Logitech M337 Bluetooth Mouse is designed to give you the freedom to work, and express yourself on any device, anywhere. Perfect for those frequently on the move and don’t want to be bounded by cables. They will be available by end September 2015. The K380 keyboard looks similar to the K480, but succeeds in shaving almost 50% of the weight. The docking stand disappears though, but the reduced weight makes it easier to bring around. It retains the useful triple device pairing feature, that allows the user to toggle between each connected device easily. The price is also lower this time around, with a MSRP of $54. So with the new keyboard, there’s the M337 bluetooth mouse, with a programmable navigation button and a laser-grade optical sensor, so that it can be used anywhere, like on a glass coffee table for example. Powered by only a single AA battery, it can keep going for up to 10 months. The mouse is slightly cheaper than the keyboard at $49. Personal thoughts: Looks a little plasticky, but matches the keyboard well. Type on anything: The Logitech K380 Multi-Device Bluetooth Keyboard easily connects to any Bluetooth wireless device. Take-to-type style: Take this keyboard for familiar typing wherever you choose to get things done. It’s compact and lightweight design invites you to pick up and carry with you anywhere in your home. Easy-Switch: Dedicated buttons make it easy to connect with up to three devices and instantly switch among them. OS-Adaptive: This keyboard recognizes each connected device and automatically maps keys to supported functions and shortcuts, giving you a familiar layout. Two-Year Battery Life: Two years of battery life with your AAA batteries virtually eliminates power concerns, letting you focus on what you’re typing and not on powering the keyboard. Bluetooth wireless technology: The Logitech M337 Bluetooth Mouse can connect to virtually any device so you can create on a computer or tablet anytime, anywhere. Compact, portable design: Slip this compact, portable mouse into your bag or pocket so you have the freedom to work anywhere. Navigation button and tilt wheel: Get smarter control thanks to the navigation button and tilt wheel – all in the palm of your hand. Comfortable, curved shape: The curved shape with textured rubber grips provides lasting comfort during extended use. 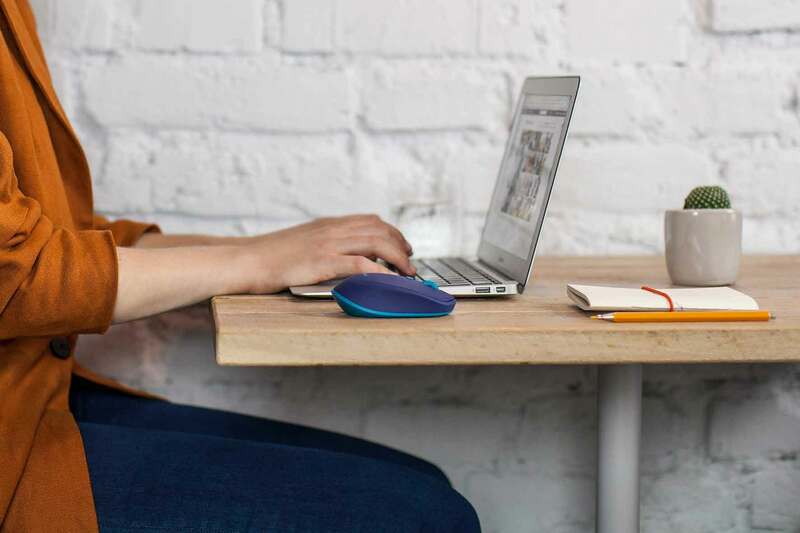 Laser-grade optical sensor: Smooth and precise, the Logitech M337 Bluetooth Mouse works on just about any surface – from metal café tables to tile countertops to your favorite study desk – thanks to the laser-grade optical sensor. Hi Sean, Looking on your post on K400R keyboard, I am interested to know which is the best keyboard and mouse pad integration for multi media PC. Need backlighting and cant be too small. I use to have a small wireless keypad with tiny mouse pad but my family members hate it. I end up suing a full wireless Apple keyboard and trackpad with twelvesouth bar to bind them both. Hi Khairul, your setup sounds cool as it is! When I hear keyboard, mouse, backlit keys for media PC, the first thing that comes to mind is the Logitech K830, but the mouse pad is small! The TK820 has a bigger touchpad area. It’s similar size to the microsoft all-in-one which lacks backlit options. Have you considered using one of those wand / air mouse instead of an all-in-one?